Romana Testasecca was born in Rome. Half Italian half Irish, she is now based in Dublin. 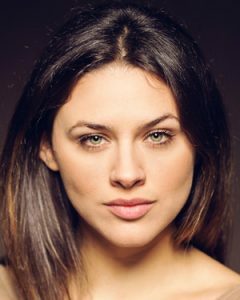 She studied Drama at the DIT Conservatory of Music and Drama where she graduated in 2015 with first class honours. Romana appeared in The Canterbury Tales in Smock Alley as the Hostess and the Queen directed by Peter McDermott. She played Titania in A Midsummer Night’s Dream directed by Miriam O’Meara and Barbara Castle in Museum, a comedy by Tina Howe. She played Guildernstern in Rosencranz and Guildernstern are dead by Tom Stoppard and Maggie in Big Maggie by John B. Keane. She also voiced Sophocles’ Electra for the Radio play Blood by Blood. Romana was also a part of the collaborative devised project Terminal 1 which transferred to Chicago. She then played the part of Orla in Our National Games by Gerard Humphrey as a rehearsed reading in the Project Arts Centre. She was Lizzie Boles in At the Black Pig’s Dyke by Vincent Woods. She co-devised and performed. ARISE an innovative production by Acne Theatre Company and presented her one woman show Syrius in both Dublin and Rome. Doing Money Susan Lynsey Miller Warner Bros.
Black Cherry Jade Lia Caira Smock Alley, Seen and Heard Festival. Syrius Lead Karen Killeen Smock Alley/Rome Fringe Fest. Conservatory of Music and Drama DIT, BA in Drama (Performance).